Sometimes we try to login to our email account and we know the username and password, but it isn't allowing us to login. Then after 3 unsuccessful tries, my IP address is blocked and I can't access my site, my cPanel, or my email. It could be that your email settings need to be updated or changed. 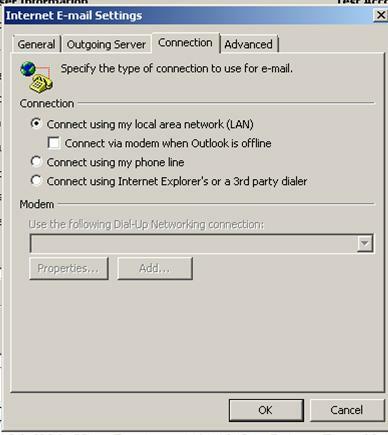 You have to have an email account created in your cPanel in order to be able to set it up through Outlook. Click on Tools followed by Account Settings. This will open a different window. Double click on your email account or click new if you need to create a new account. These settings should be roughly similar. The main difference would be the endings - it would have their domain name on the end instead of ourchurch.com. After these settings have been set, click on the More Settings button on the right. 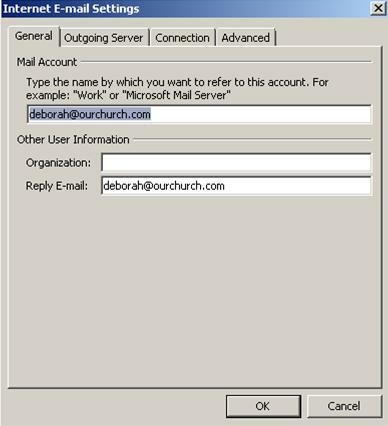 In the General tab, make sure the email address in the Mail account is the same for the reply email. This should be the same as the email address on the page where you clicked the More Settings button. 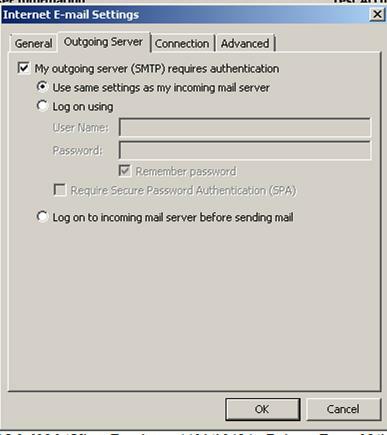 In the Outgoing Server tab, check the My Outgoing server (SMTP) requires authentication box is checked and the radial button below that as well. In the connection box, they should have the LAN box checked. The Advanced settings are very important when receiving and sending. Incoming server port is 110. The Outgoing server port is 587 (it used to be 25, but that port isn’t working any longer) and the encrypted connection is None. 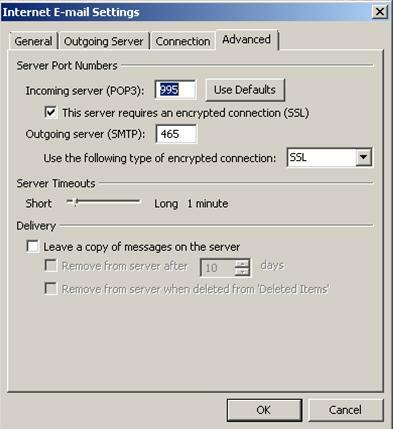 Another option for a port # is 465, but you will need the Use the following type of encrypted connection to say SSL (like in the example). 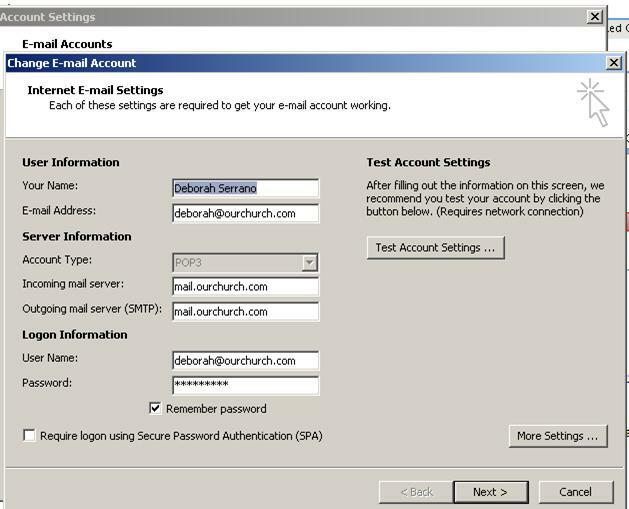 Once the account has been set up, click on the Test account settings button from the first window in the email account setup and see if a test email is sent/received successfully. Click on the attachements below if the images above are too difficult to view.